well, the old truck has 316 k on it so I have been looking for something to replace it with. After looking for a couple of months, I ended up ordering a new one. Well, it came in yesterday. They said they would order it and if I decided not to buy it, that was ok, there would be no hard feelings as they could sell it. Well , once I seen it , I had to get it. Same as my old truck , but 14 years newer. I'm 57 years old and this is my first new vehicle, but with all the rebates and discounts these days the price was pretty good. Very nice ride. I can invision a big mature buck laying in the back of that one. 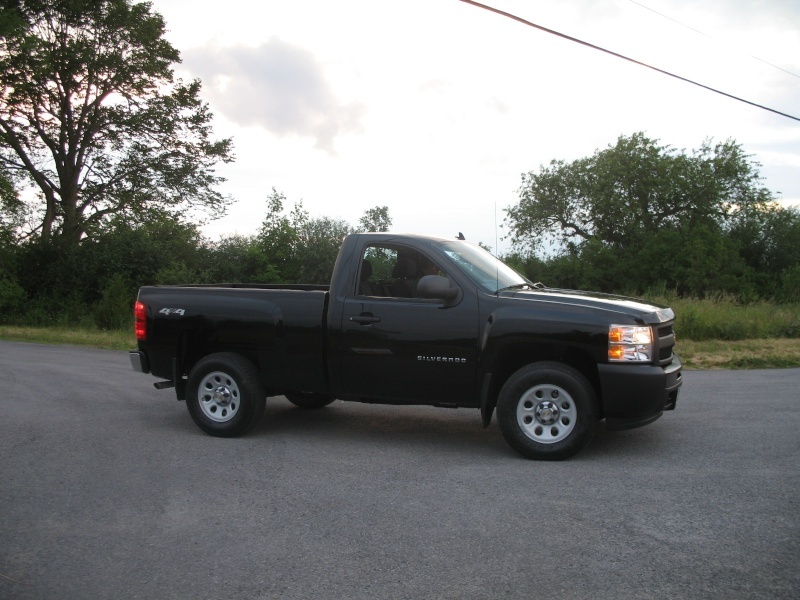 Congrats, truck looks great, its nice to buy new. I did it once, a new 4x4 as well, its also something I will never do again. Real nice Steve, congrats on a great looking truck!